One of the events I have been remiss in posting on is the air crash which killed the President of Poland, Lech Kaczynski, his wife, and a number of key members of their government. I would like to express my personal sympathies to the Polish people for this tragic loss. Many years ago, I worked for a company which lost a number of people in the Air Florida crash – some of whom were co-workers and friends – so I understand fully the loss, and sadness of the Polish people. 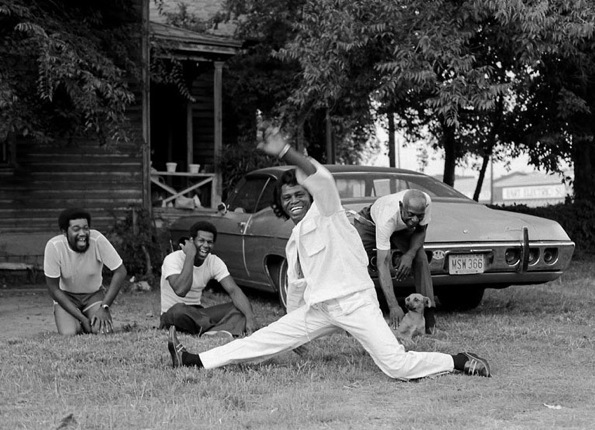 Apparently there has been an internet rumor circulating at the speed of light around the Internet that James Brown’s body is missing from the crypt where he was buried on his Daughter’s property. Like a lot of rumors on the WWW, this one got around the world 43 times – before anyone got around to checking the facts. James Cuts A Move in the "Hood"
Charles Reid of C.A. Reid Funeral Home, who managed the 2006 burial of the Godfather of Soul in a mausoleum at his daughter’s home, said the rumor is false. James Brown’s daughter LaRhonda Pettit reportedly said his body was missing on the eve of an autopsy meant to prove he was poisoned. The story got picked up and traveled around the world before it landed back in South Carolina, where Reid laid it to rest. Posted by btx3 on March 14, 2010 in Music, From Way Back When to Now, Nawwwwww! Over 1,000 Royal Canadian Mounted Police showed their respect for the 4 fallen officers killed two weeks ago near Seattle. An absolutely incredible outpouring of support for these officer’s families.